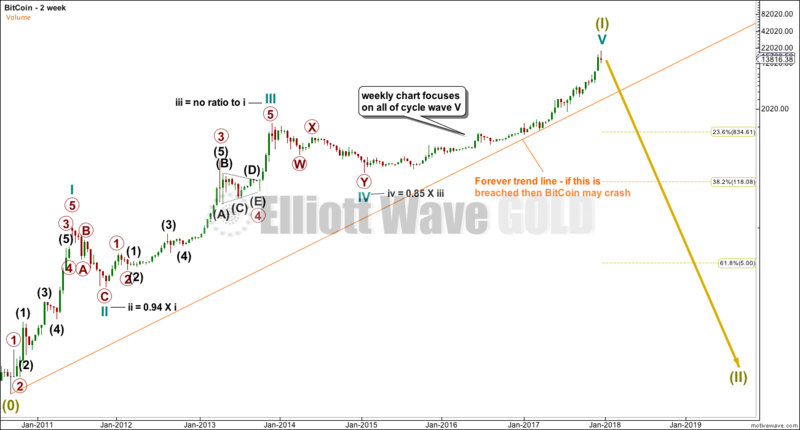 The 1st idea, that a triangle is complete with an upward breakout looks pretty good at this point. 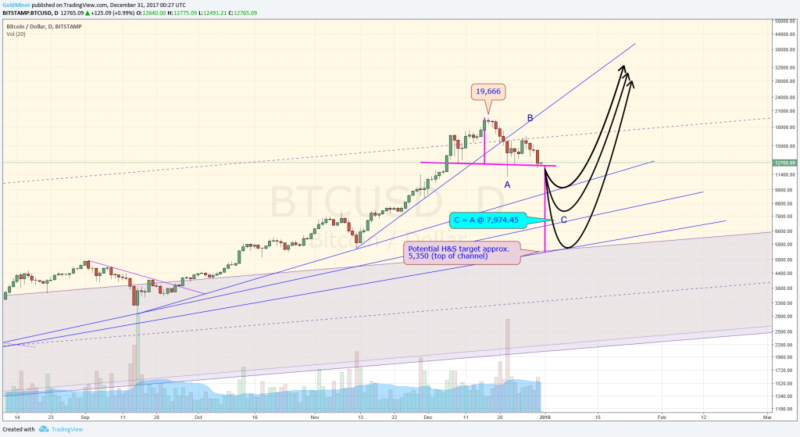 If correct, new highs will be forthcoming. 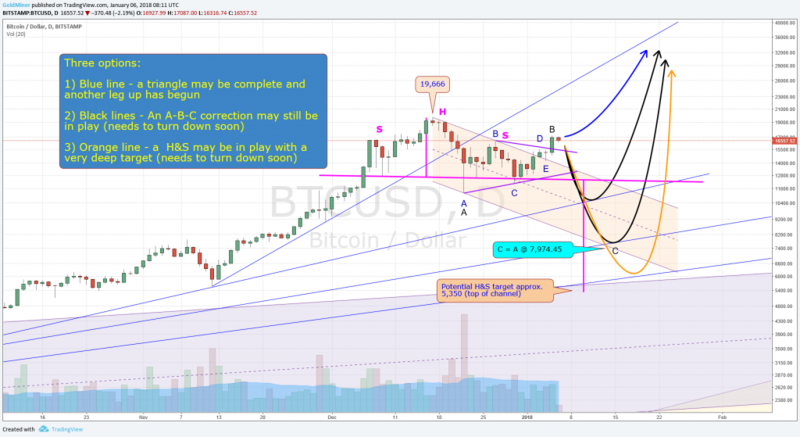 How would one short bitcoin? With a trading account that allows you to do so. BitStamp is one that Cesar found. Sure looks likely doesn’t it! 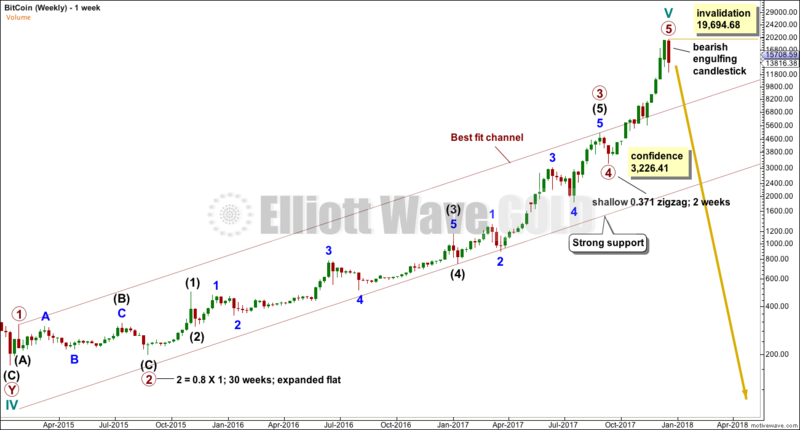 If you draw a long held channel this way (see chart) there has been a breakout and a back-test. Does this not look bullish? Thanks. 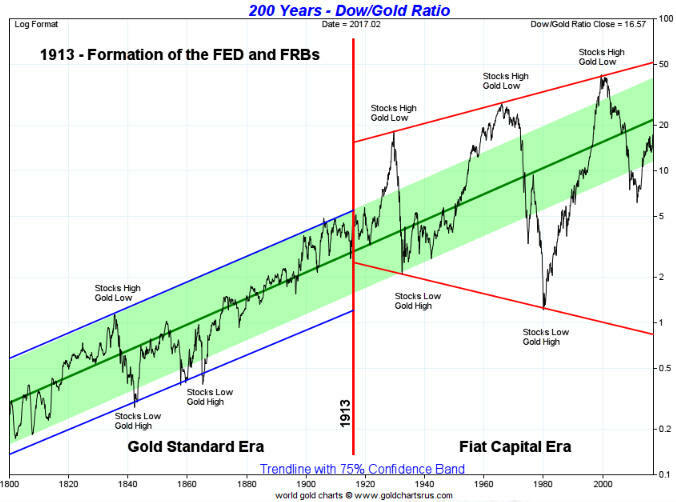 If one looks at the long term chart of a bubble “Dow to Gold ratio” caution is the word. 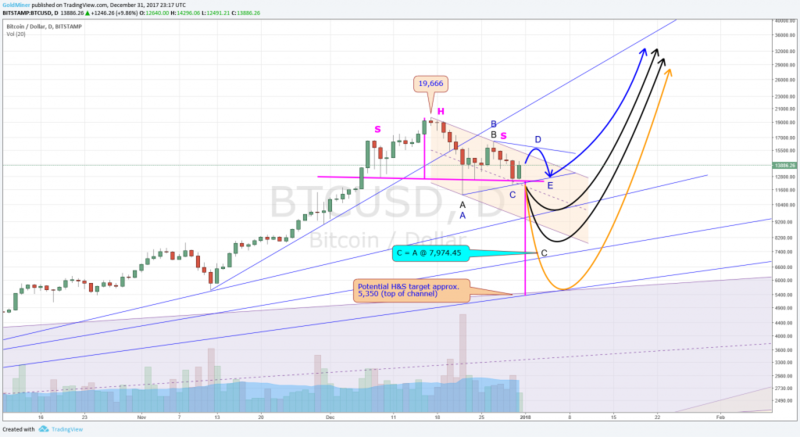 Once these long channels are broken the top is closer than one expect. If one looks at the last peak and bottom they were separated by 20 year cycle. Next 20 year bottom from 2000 top is due in 2020. Which is at ratio of “1”. Nice chart. Looks like it ended in Feb 2017. I made an attempt to count the move from the 2011 to current. 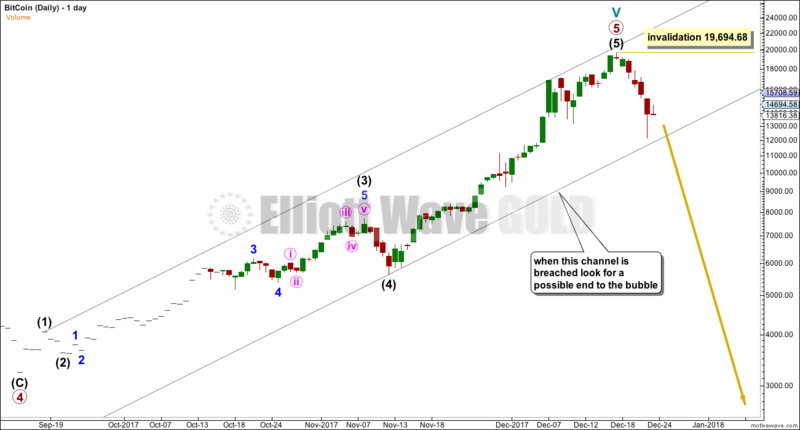 I may be wrong, but it looks like there may be one more high this year before the big move down. 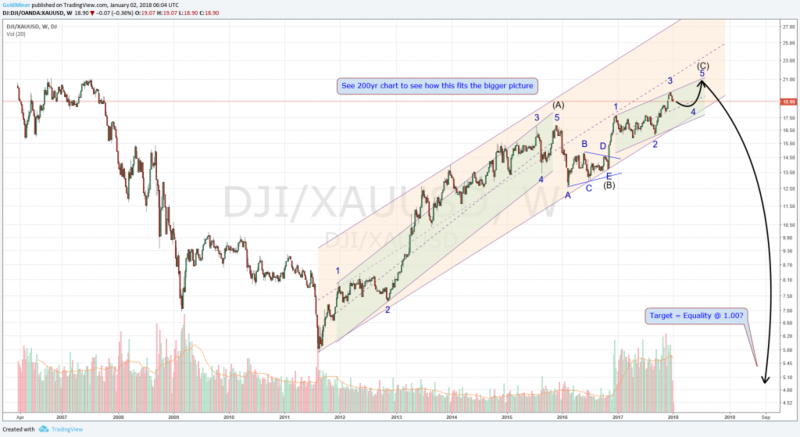 If correct, it suggests that the DJI shows relative strength vs. gold for a few more months. Thoughts? Yes it may touch the average 20 and then down sharply. thanks.